Xenoblade Chronicles mixes sci-fi with the Japanese RPG genre to create a streamlined game that does away with many unnecessary features that usually plague the genre. The game was released in 2012 with development being undertaken by Monolith Soft. Xenoblade Chronicles is only available on the Nintendo Wii and truly pushes this console to the limit in terms of hardware capabilities. Players take control of a young man known as Shulk who embarks on a quest to stop the threat from the Mechons (mechanical based life forms). He gains control of a legendary energy blade to aid in his quest and picks up several characters on his journey which he slowly builds relationships with. Controlling your character will take some getting used to if you haven’t previously played an RPG on the Nintendo Wii as you’ll need to get used to the Wii Remote and Nunchuk controls to get the most from the game. 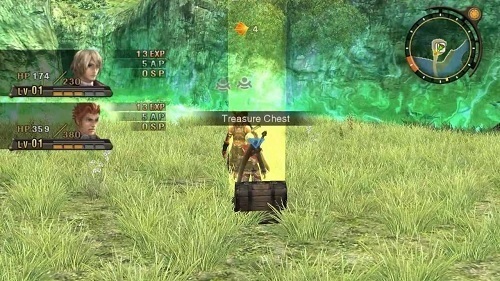 The game world is unique compared to similar games in the genre in that it encourages a free roaming style of exploration rather than the usual linear exploration of Japanese RPGs which is a welcomed change of pace. The game also does away with needless backtracking and the awkward save point systems that are often more frustrating than helpful. 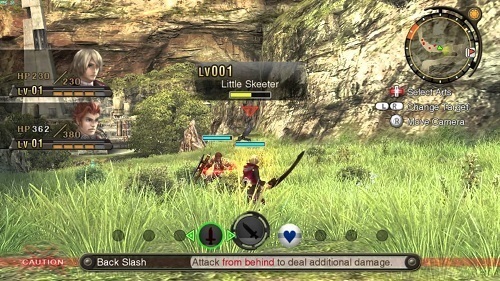 Xenoblade Chronicles uses real time combat and incorporates a number of skills that players can activate for an extra damage boost, although these are restricted by cooldowns. The game also uses an aggro system during fights to allow you to easily see which of your allies is attracting the enemy so you can plan accordingly. What the game lacks on a visual level it makes up for it with streamlined gameplay that is both engaging and enjoyable. Xenoblade Chronicles is definitely a game that the Wii has needed for a long time. Does away with the back tracking and save points. Little bells and whistles change the game from good to great.